Pretentious? Yes; (if you’re not a smoker)Absolutely. 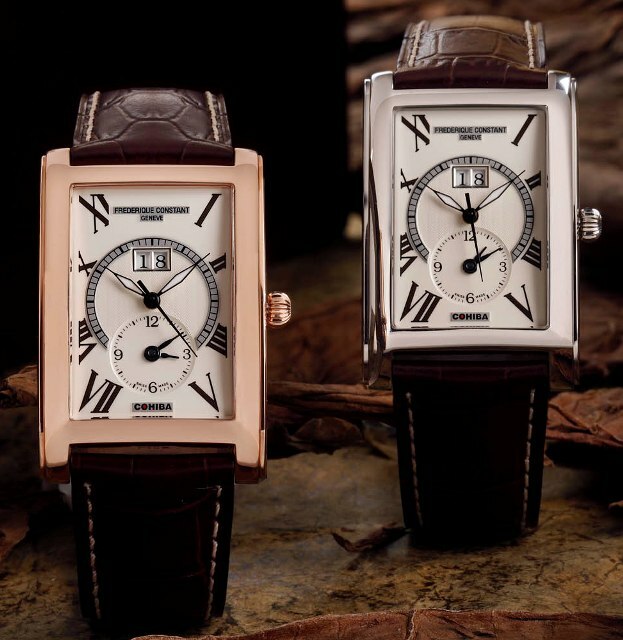 But the purpose of this article isn’t to split hairs, it’s all about buying a timepiece worthy for men of distinction – if it comes with a luscious humidor filled with premium Cohiba cigars, so be it. 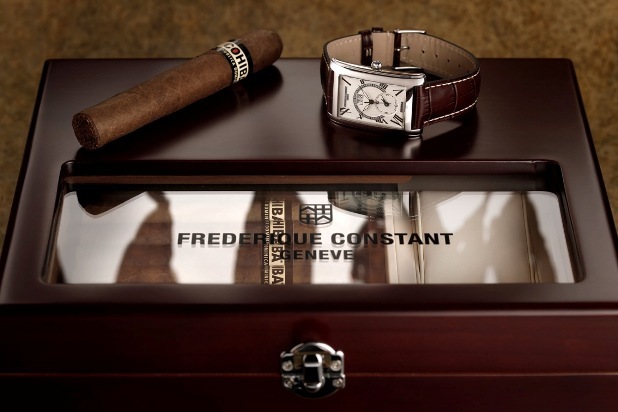 Based in Plan-les-Ouates, Geneva, Frederique Constant SA is a luxury watch manufacture that shares stereotypical swiss watchmaking heritage and excellence with the usual suspects, yet this 107 year old Horloges Magazine ‘Watch of the Year’ winner doesn’t price its offerings into the stratosphere like many of their peers- the Frederique Constant Cohiba limited timepiece weighs in at USD$1,750 for the Rose Gold Plated and USD$1,650 for the steel version, a steal for a slice of independent watchmaking tradition. While Patek Philippe continues to be the gold standard for ultra-luxe, Frederique Constant keeps just a half step behind, producing their own Silicium escapement wheel 2 years after its introduction by the former; In 2008, they finally create a world’s first tourbillon with silicium escapement wheel with over 300 degrees amplitude and high precision- But I digress. My only grouse is the Cohiba badge which doesn't quite match the elegance of the watch dial. My only grouse is the Cohiba badge which doesn’t quite match the elegance of the watch dial.